Feeling confident after completing Perplexus Original? Think you’ve mastered the art of twisting and turning while defying gravity? Not so, friend. 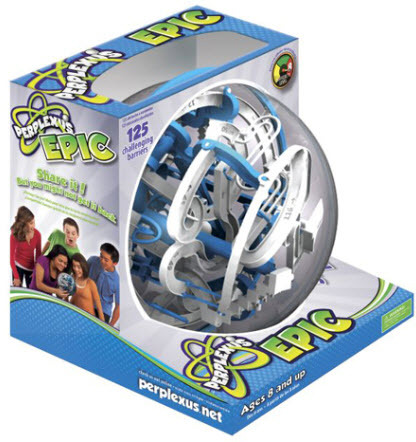 Presenting Epic – the newest in the line of Perplexus mazes. With gnarly new obstacles that require a whole new level of concentration and finesse, Epic is here to humble you! Its impressive 125 barriers are certain to entertain, challenge and frustrate you to Epic proportions! How to play: Roll the ball to one of the starting points. There are four this time around, and you will need them! Epic is a game of finesse. It’s about the right orientation, speed and balance. Remember, a gentle tap, a quick jerk, or a slight movement may be just what you need to stay on track. 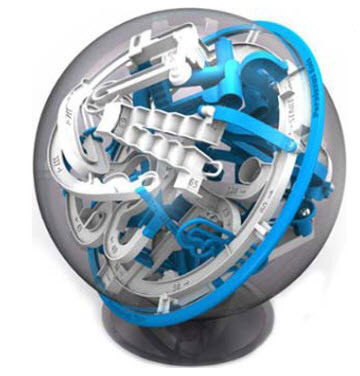 Complete all three PERPLEXUS puzzles to become a Master!